A website is necessary for our personal and business purposes. This is the age of self-promotion. The more you promote, the more you get desired results. So, what do you to promote your business out of your own locality? Right! Online promotion is the one you need. What does need first? A website of course. To create a well-designed website, you need to make it colorful and attractive first. Because good contents can’t grab audiences for so long. 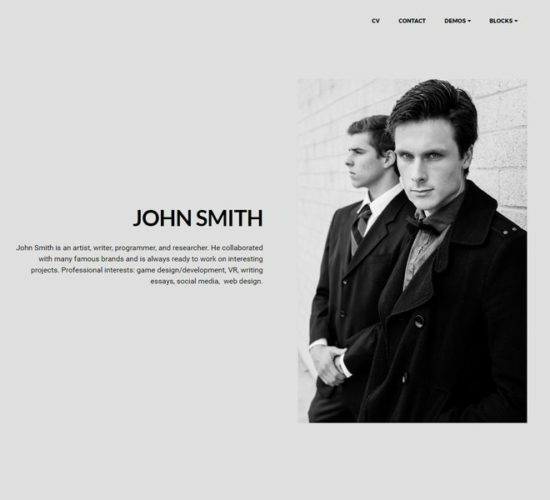 You need to use themes and templates to make an organized and eye-catchy website. 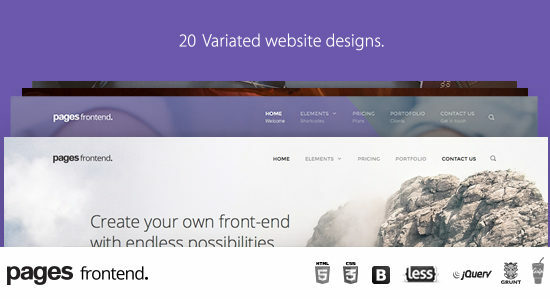 Here we present 20 plus best Free Bootstrap Responsive Templates for your purposes. What is Bootstrap? Well, we’ve discussed it in our previous articles already. 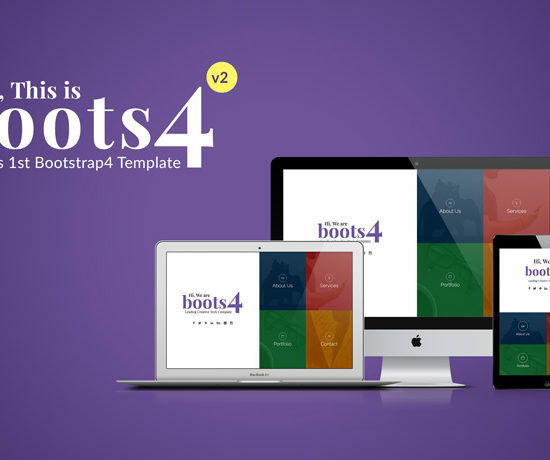 Bootstrap is a framework to create or develop a website. It’s important to know some basic aspects of Bootstrap before you choose a theme or template to use. 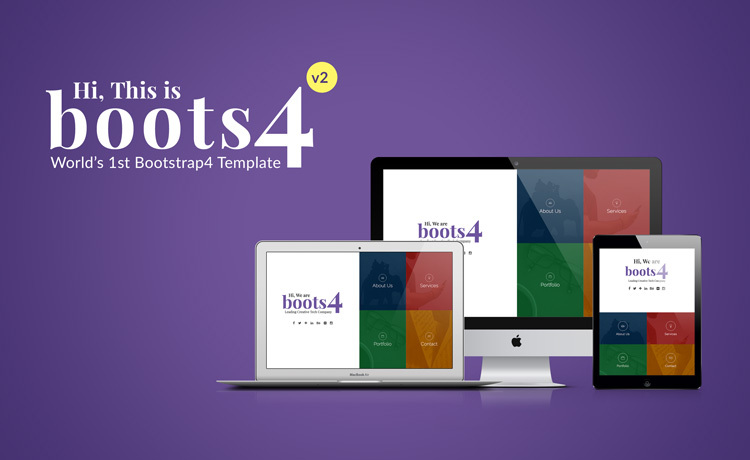 Today in this article, you’ll find some helpful info regarding free Bootstrap responsive templates. If you don’t know what web templates are, then let me make it clear first. Briefly, web templates are pre-designed web pages for your website based HTML, Java Script, CSS and Bootstrap. These templates are easily manageable and customizable according to your necessities. So let’s talk about some free responsive template. 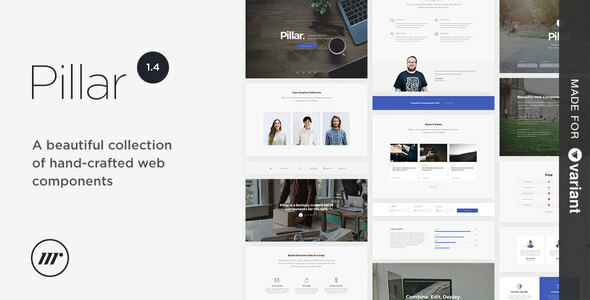 Pillar is a multi-purpose HTML template. You can use it for your blog or eCommerce site. This template has been designed for those who want to attract the audiences to their business. A great template to promote your product. Let’s see what key features this template has to offer. 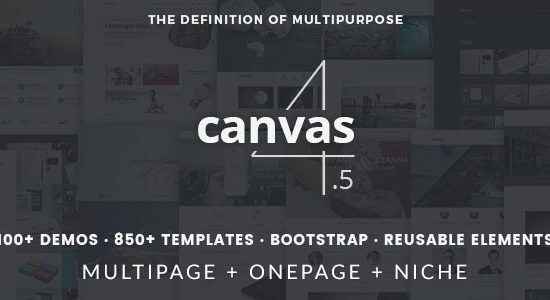 Total responsiveness, Google Maps API, Custom Isotope filterable portfolio, Ajax contact forms, 150+ blocks variant Page Builder, traditional nav bar, Owl Carousel included, multi-column mega-menu, variant Page Builder, 400+ free Google fonts, 100+ HTML templates, SEO optimized and much more. 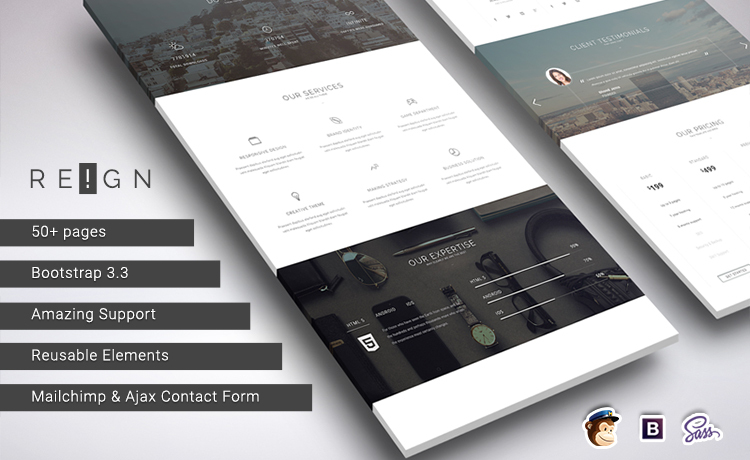 Pages is another fresh looking, a clean and multi-purpose template for you. This template can be a top choice for any website owner. It looks fantastic for its elegant design. The simplicity makes this template even much classy. There are some amazing key features with this template. 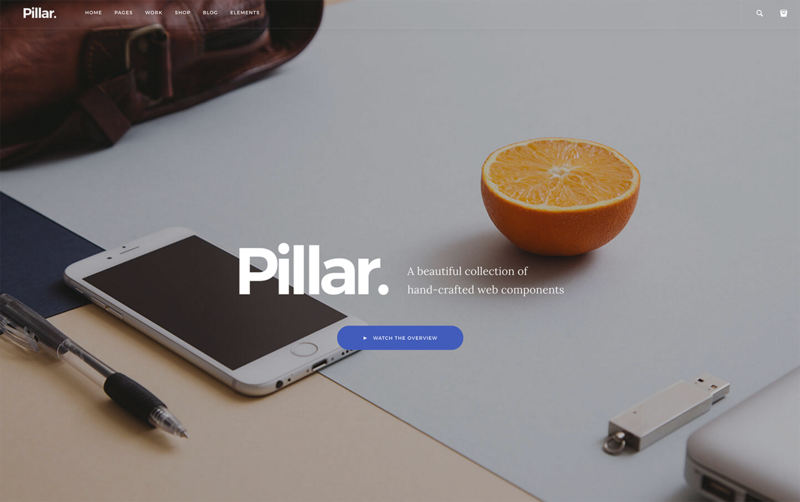 Over 70+ built-in blocks, unlimited variations, page sliders, animation, floating elements, smart header, 20+ web page designs, SEO support, multiple colors, SEO support and more. 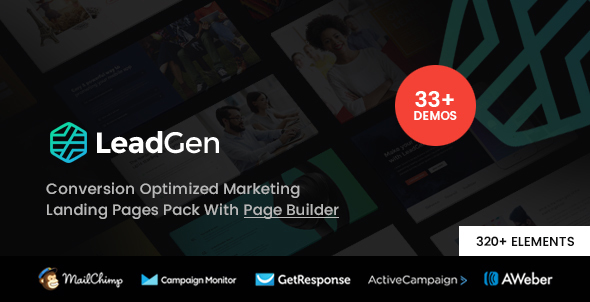 LeadGen is a multi-purpose template. But this suits best for product marketing and eCommerce site. The fresh design makes this template much attractive. It has all the necessary features you need. So, let’s check all the key features inside. 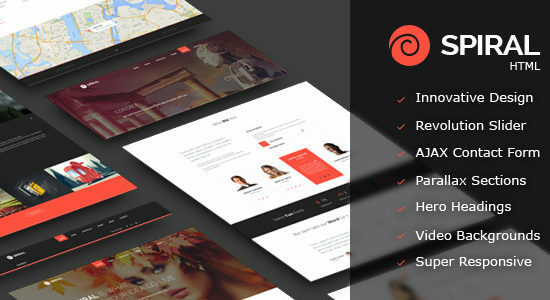 Besides responsiveness, it includes 33+ attractive, elegant and cutting ready-made landing page demos, 300+ smart and polished ready-made elements, built with HTML5 and CSS3, 7 beautiful sliders, 9 elegant video block styles, 6 very attractive pricing table styles, 8 engaging social widgets, 11 professional portfolio grid, 4 clean client logo grid and slider styles, SEO friendly and much more. 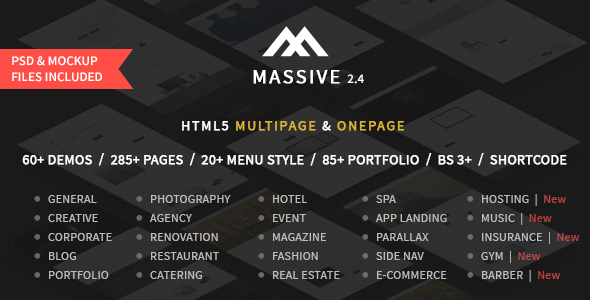 Massive is a massively responsive template for you if you’re looking for one. This is 100% multi-purpose template. 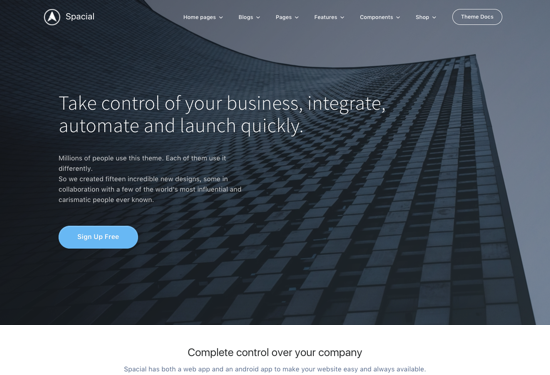 This is also one of the coolest free Bootstrap responsive templates. It comes with some user-friendly features. So, let’s take look at these features. 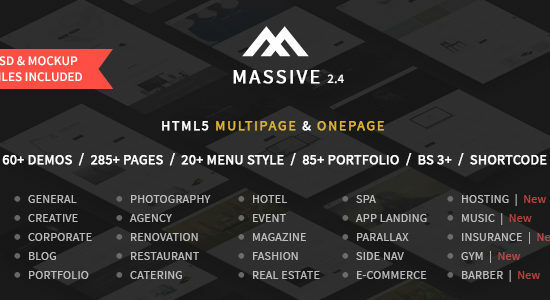 Massive is one of the best free Bootstrap responsive templates. Because it’s fully responsive, Built with Bootstrap 3, 260+ HTML files, 50+ demo files, 85 portfolio pages, 10-page title, 15+ built-in sliders, retina ready, E-commerce layouts, 1000 icons, parallax sections, unlimited colors, SEO friendly and much more. 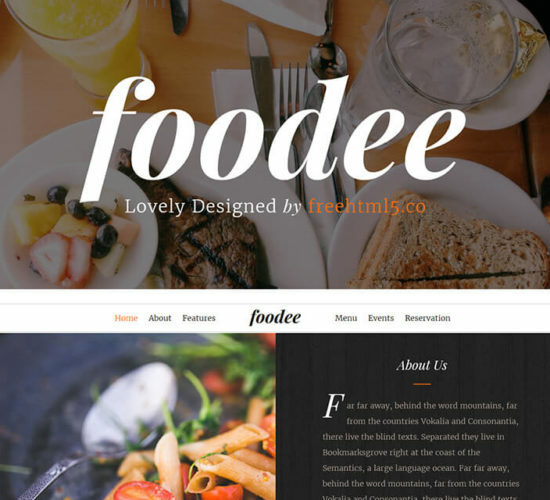 Foodee is a perfect match for restaurant business or foot-based blogs. It has so many cool features you can expect. It’s 100% responsive, sticky navigation bar, smooth parallax effect, modern browser compatible, SEO friendly, vibrant typography, IcoMoon and simple line icons, table booking form, hero headersocial media support, widgetized footer and much more. No! We’re not talking about feral superhero character from Marvel comic called the Wolverine. 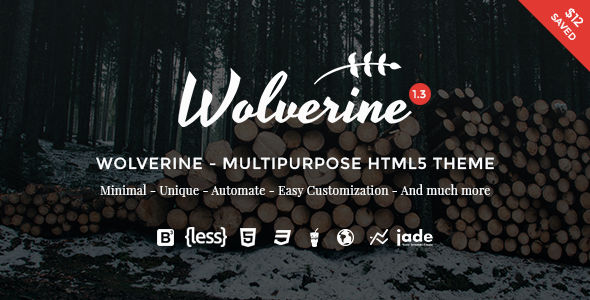 But this template is as sharper as Wolverine’s claw, flexible and fully responsive. 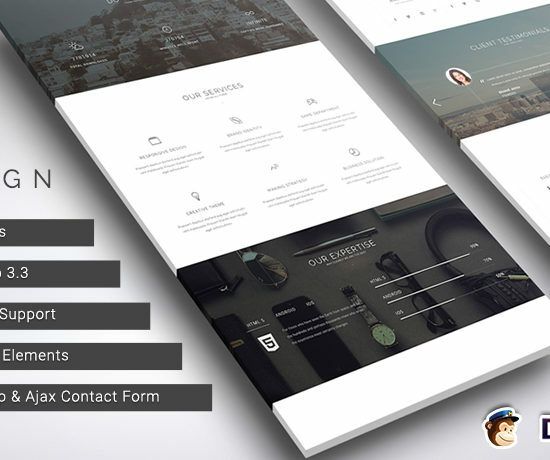 It has some amazing features that can make this template sharp and user-friendly. 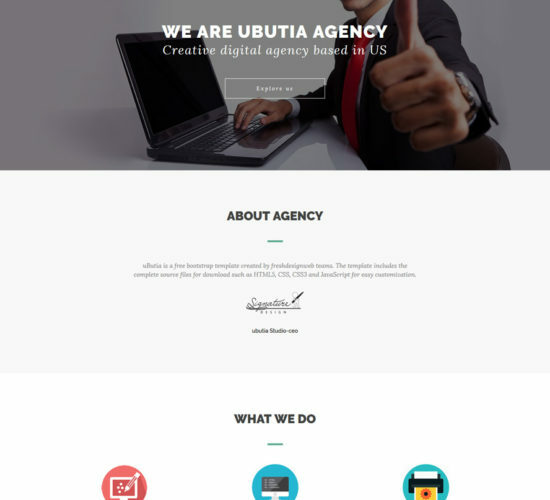 Fully responsive template, Bootstrap 3 grid, HTML5 and CSS3 animation, dropdown and mega menu, Google fonts, 1000+ icons, 15 blog HTML files, browsers compatible, node template engine and much more. 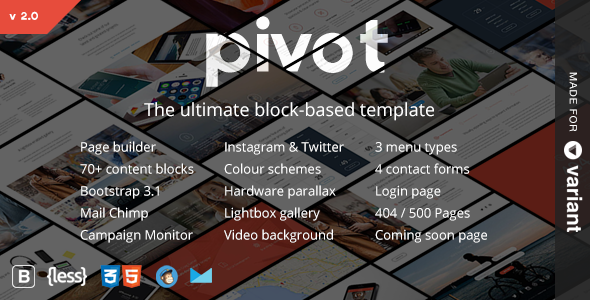 Pivot is the template you can use for your blog, business, and agencies. How good is this template? It has very simple and beautiful design. It’s fully responsive and comes with a bunch of good features. 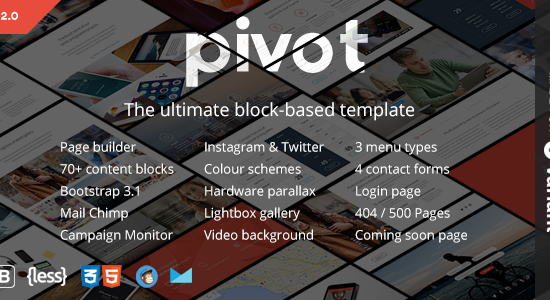 Let’s see what you will enjoy with Pivot. 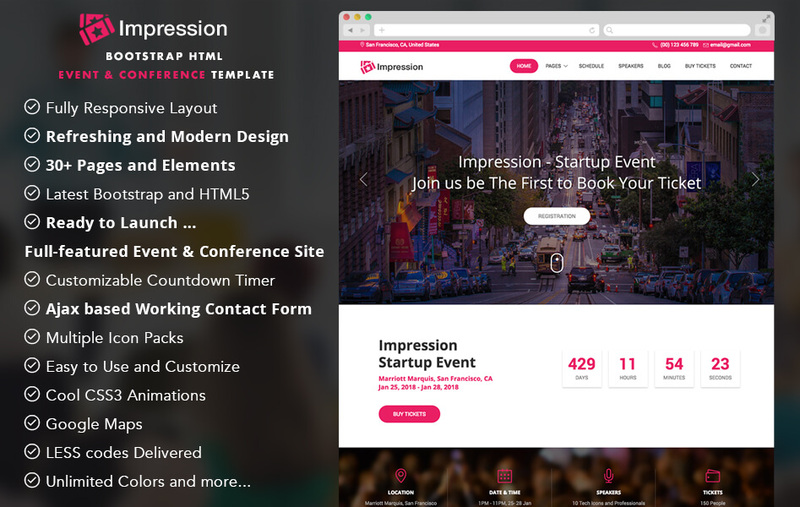 The template is fully responsive, built with Bootstrap 3.2, MailChimp form, 70+ content blocks, HTML5 and CSS3, 4 contact form, 3 menu types, 4 footer types, retina ready icons, support forum access, one page ready, color scheme and much more. You can download it now. 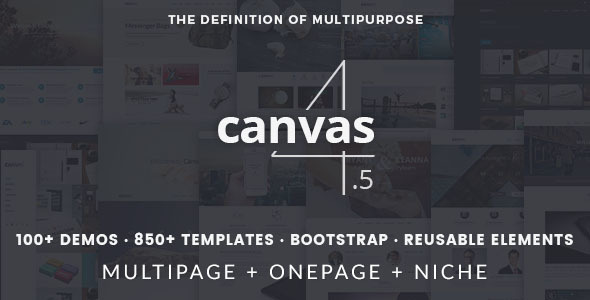 If you’re looking for a template which is multi-purpose, multi-page and one-page features, then Canvas is the one you need. It can be used for business and blog. Best suit for restaurant and photography related sites. It also has some cool features. It’s responsive, retina ready, premium sliders, side panels, more than 16 headers, functional widgets, 10+ menu style, working Ajax contact form, event calendar, Bootstrap grid, easily customizable, 700+ templates, Google fonts, dark version 1000+ font icons and much more. So download it from the link below. Just like the name, Rhythm has the ultimate rhythm in the design it has. 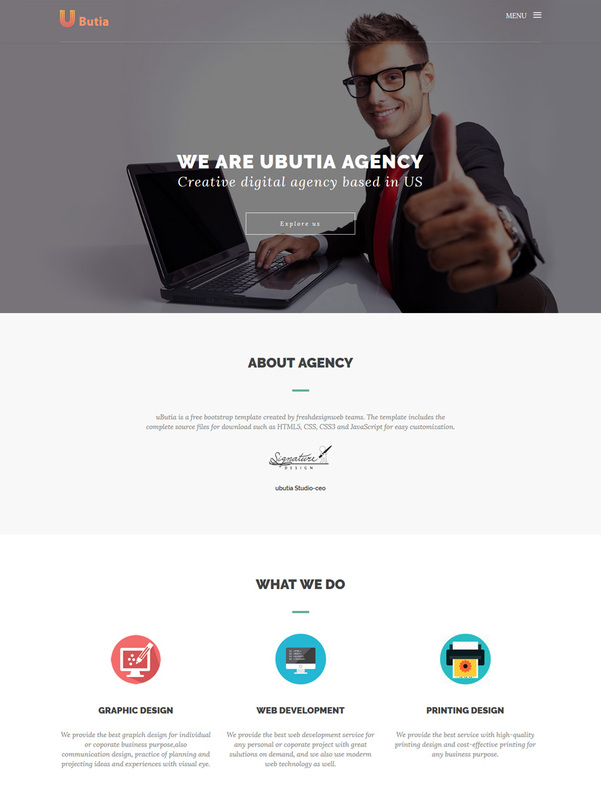 This delightful template is totally responsive and will give you the fascinating user experience when you use it. Cool features are the biggest part of this template. 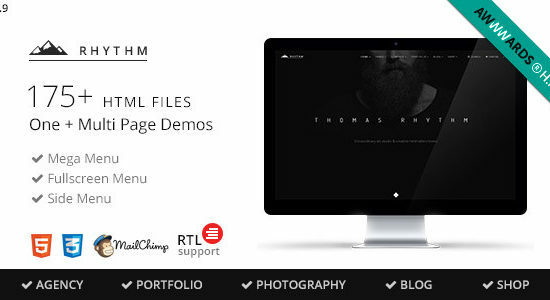 It has the responsive design, 175+ HTML files, multi-page demos, mega menu, full screen and side menu, header variants, 40+ portfolio pages, 10+ blog pages, powerful short codes, revolution slider, 400+ icons, parallax sections, smooth animation and much more. Special is a very specialized template for multi-purpose usage. 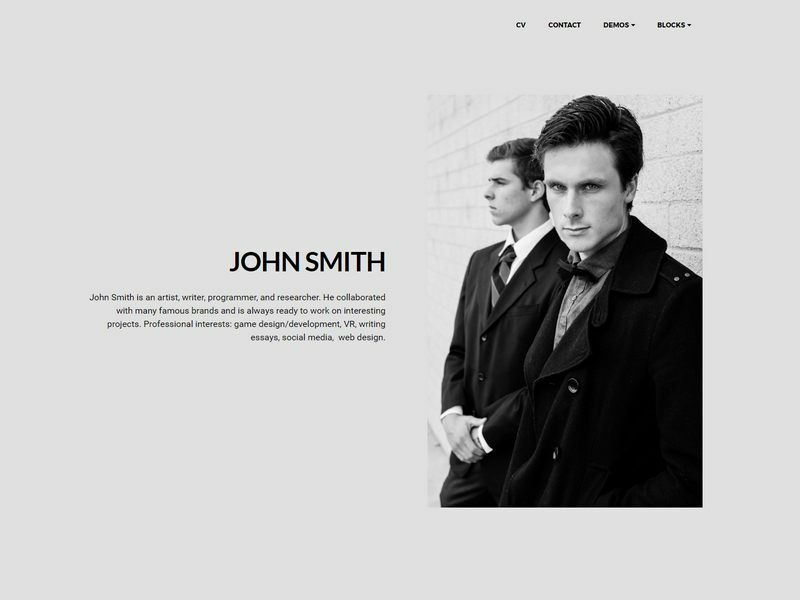 You can use this template for your blog, business, agency, online shop and other websites. Its ravishing design will attract anyone’s eye and mind both. 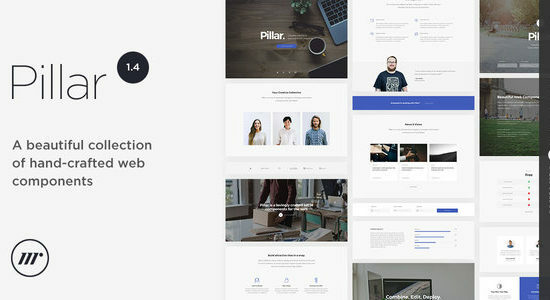 It has highly supportive documentation, responsive design, built with Bootstrap 4, component files, plugins, new footers showcase, 4 new Email templates, new portfolio variants, new headers showcase, Google fonts, easily customizable, unique layout elements, 100+ HTML templates and much more. 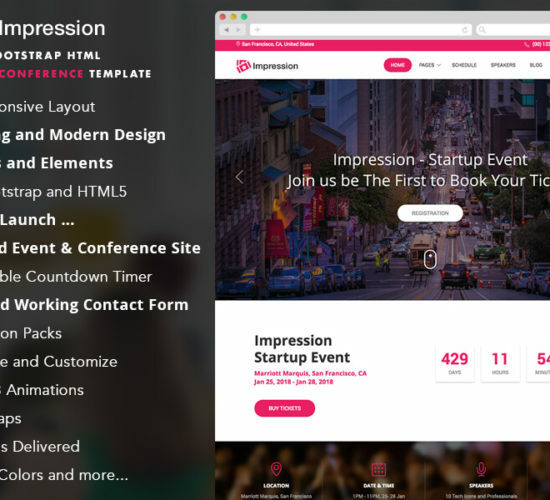 The impression is one of the free Bootstrap responsive templates. This template suits great for any website related to event management firm. Its ravishing look shall give your website a professional and elegant look. 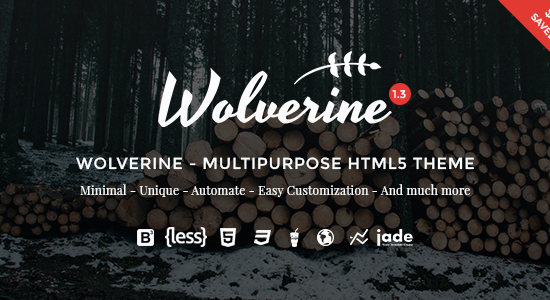 Well, now if you ask for the features then here you go: It contains Ajax-based contact form, 100% truly responsive, has multiple icon packs, Animation, more than 30 predesigned pages, unlimited colors and easy to manage. There are much more features you can enjoy. Expose is definitely for you if want to promote your company or business online. However, it’s a multi-purpose template. But it will fit perfectly for agency, industry, photography and eCommerce sites. It contains some interesting key features inside. It’s fully responsive, built with Bootstrap 3, more than 500 Google fonts, multiple colors, sliders, multiple icons, light box, HTML5, CSS3, flawless customer support and much more. You can download this template here. 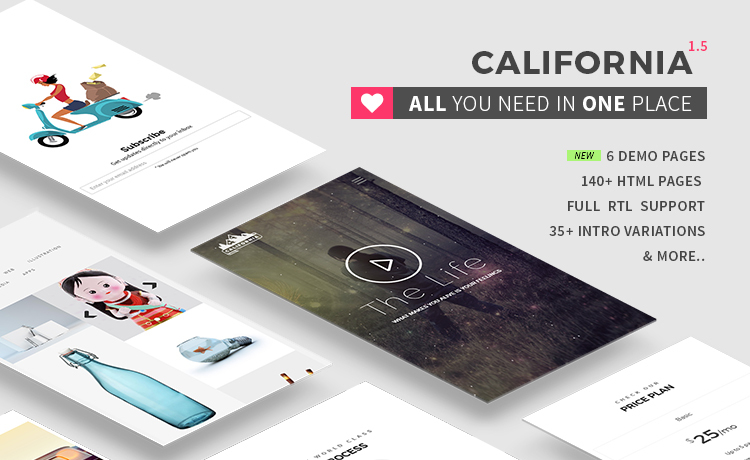 If you want to build a website with one template then California is the perfect choice for you. 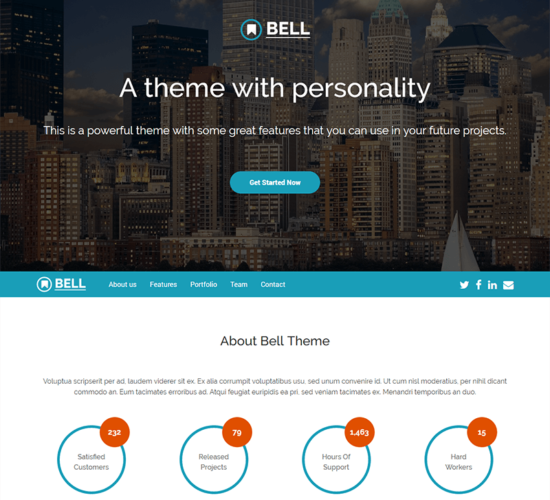 It’s a very responsive and multipurpose theme anyone can use. 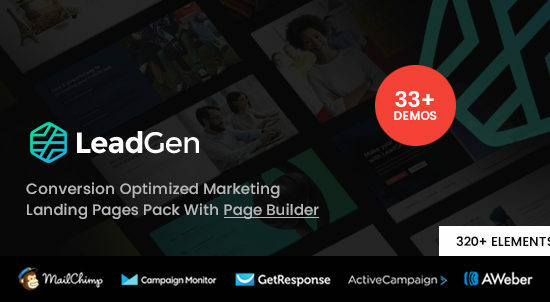 It has 30+ intro styles, 130+ HTML pages, multi-page layout variations, 12 built-in color schemes, RTL support, working contact form, integrated MailChimp shop page, SEO optimized and more. The main attraction of this template is its colors. It’s really beautifully colored template. 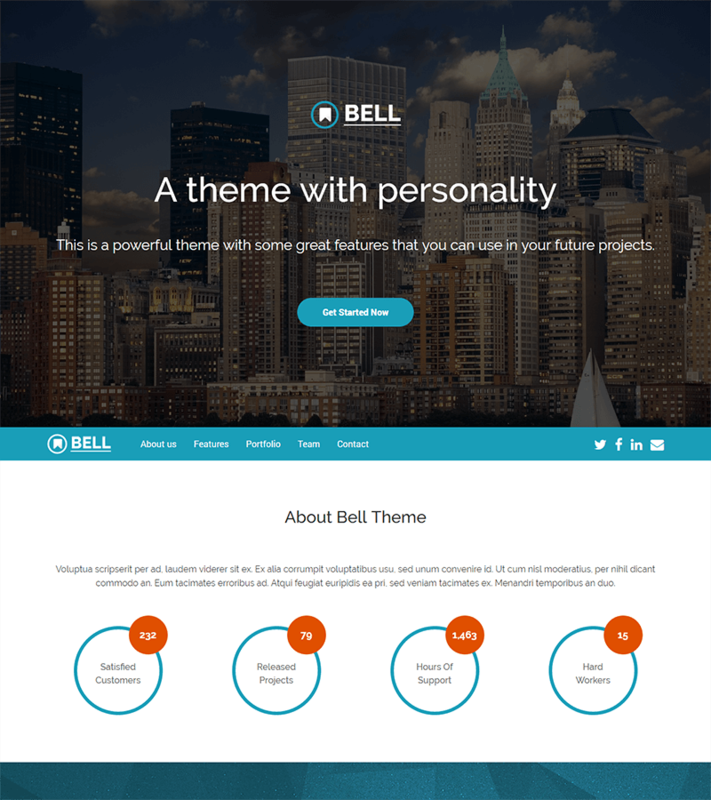 The Bell is one of the very nicely crafted free Bootstrap responsive templates you can ask for. It has all the useful features you need to build a website. Let’s see what features it has included. It’s fully responsive, Font Awesome icons, mega menus, Parallax blocks, animated counters, sliders, carousel, pricing tables, sign up and login form, multiple color schemes, easily customizable options, SEO optimized, smooth scrolling and much more. You can get this template from the link below. Spiral is an HTML5 template with awesome look and colors. It’ll definitely make your website look beautiful. Key features are also great. It has a responsive design, revolution sliders included, Ajax working contact form, HTML5 and CSS3 compatible, SEO friendly, detailed documentation, cross-browser support, multiple colors, icons, touch enabled sliders and more. You will not be frustrated after using this template. 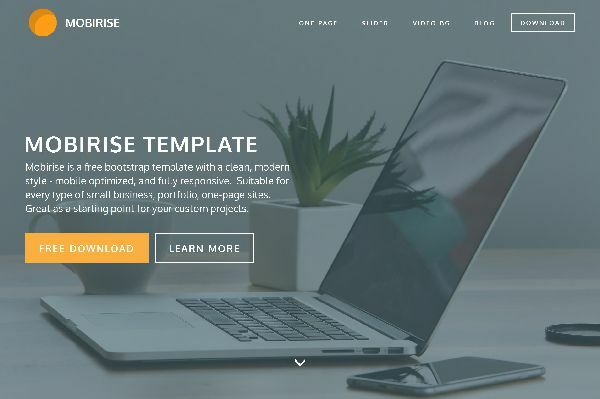 Mobirise is a great option for business, portfolio and blogs. 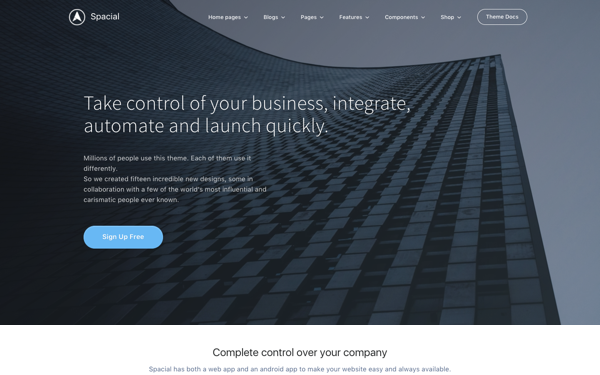 It’s an easily customizable template with some modern design and features. Besides responsiveness, the template is mobile device friendly. Let’s check other features. Touch swipe support, zero-coding template editor included, clean and clear HTML5 and CSS3 design, Bootstrap 3 and jQuery powered, SEO optimized, HTML5 retina enabled, landscape and portrait mode, 100% width or boxed layout, multiple page or one-page design, Google fonts support, parallax scrolling for all elements, video, image, solid color background for all elements, color transparent overlay, unlimited font, background and button colors, full-screen slideshow header intro, promo blocks with video or image, social sharing, responsive contact forms, font icons for buttons and menus, custom logo and favicon and much more. 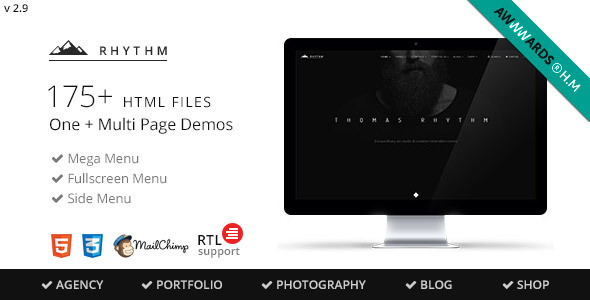 Regin Pro is a very simple, sleek, clean, elegant and a very user-friendly template. It has all the features one can ever expect. So what features are included? 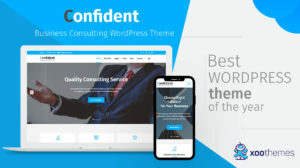 It has 57 HTML files, 20 multi page and one-page demos, fully responsive, retina ready, Bootstrap 3.3 powered, SCSS & CSS files, PHP Ajax contact forms, 404 page included, different layout styles, detailed documentation, SEO optimized, 1800+ font icons and much more. It’s a very simple, clean and fast loading template. Perfect for creating portfolio. 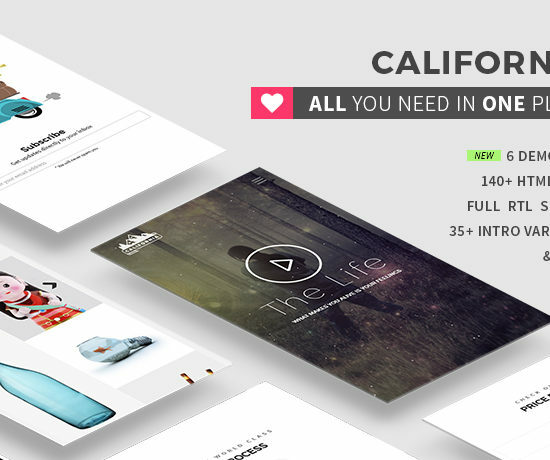 With cutting-edge features this template will definitely make the user feel mesmerized. So what features are included with this template? 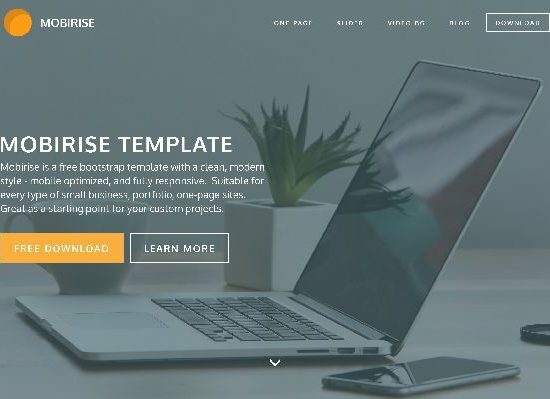 It’s a responsive and mobile-friendly template, jQuery powered, based on Bootstrap 4, modern and functional site elements, Bootstrap image gallery and bootstrap carousel, free icon fonts, Bootstrap drop-down menu, SEO-optimized, image and video background, Google fonts support, parallax background and much more. 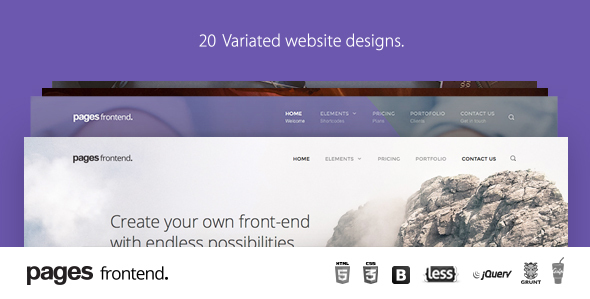 Here are some amazing free Bootstrap responsive templates. Hopefully, this article is going to be very helpful for those who are looking for a template for their website. However, there are so many templates also available. You can choose any one you like most. 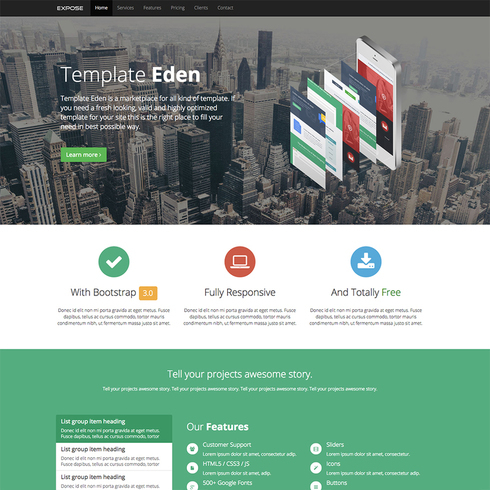 We’re not promoting these free Bootstrap templates. These are just some of the finest templates we think you can use. If you have your own favorite list you can share. You can also share this article if you find it helpful enough to let other people know.